Keep design consistent and complete. Assess the impact of design change before you execute it. 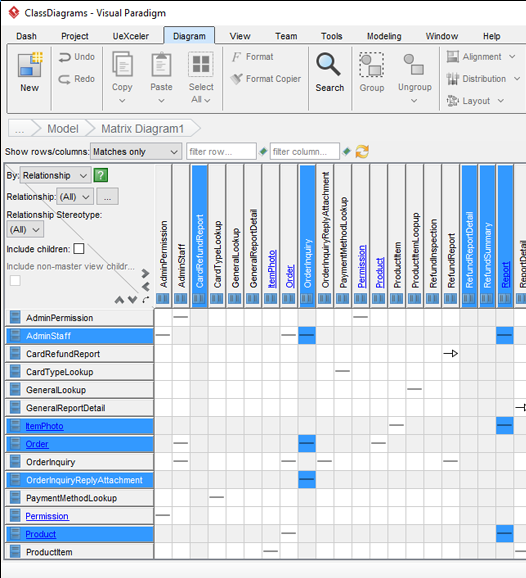 The automatically formed matrix is a powerful impact analysis tool that helps determine the scope of impact. By reading a matrix, you recognize not only the connectivity between elements, but also relationships like containment, element reference, etc. 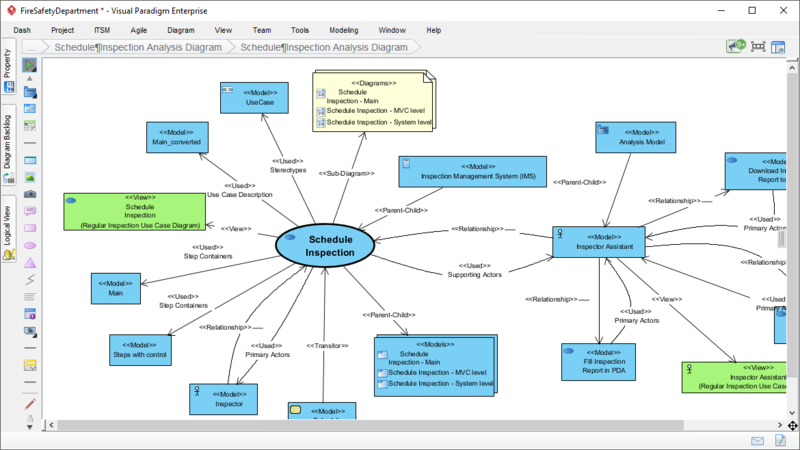 Analysis diagram visualizes dependencies between elements in a visual map. Its radial layout style facilitates the rapid lookup of model elements' dependencies, helping you to identify impact in seconds.